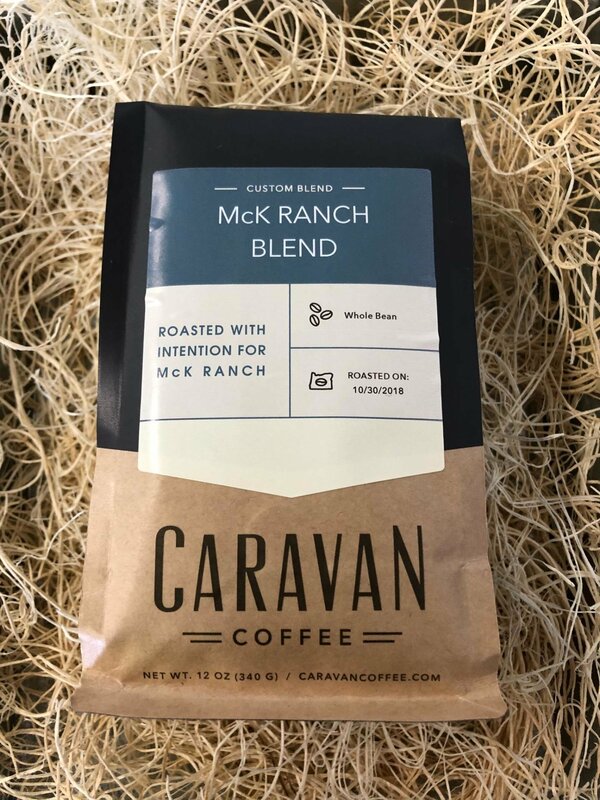 Our McK Ranch Blend roasted by Caravan Coffee comes in 12 OZ Packages.If you would like us to grind please leave a note when you place an order. Thank you! *Pick up at our store front on the Ranch during store hours. Delivery to Corvallis, Newport, Yachts, Salem, McMinnville, and up to Portland area can be arranged for large orders. .